UPDATE: 1/3/13 – Kevin Albert Richard Coset, 23, was arrested and charged with the murder of Alvin. It is alleged he used a knife and a firearm and killed him. The defendant faces 61 years to life in prison if convicted, according to Deputy District Attorney Stephen Marquardt. UPDATE: Alvin’s Toyota 4Runner was found in the Albertson’s parking lot on South Mission Road, according to San Diego County sheriff’s Lt. Glenn Giannantonio. When deputies checked the vehicle, they found Alvin deceased in the truck. His body was in a sleeping bag and had signs of trauma. Further investigation found that the vehicle had been there since New Year’s night. A cause and manner of death, will be determined by the Medical Examiner’s Office. UPDATE; 1/3/13 – Alvin is still missing. 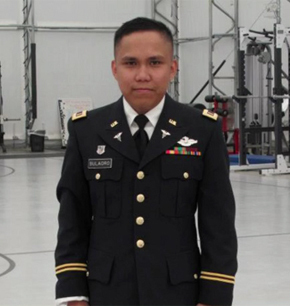 Alvin is in the army reserves and is to get his officer commendation on the 12th of January. Alvin Justine Bulaoro, 24, of Fallbrook (San Diego County), Calif. was last seen leaving the family residence in the 700 block of Driftwood Lane on Friday, December 21. Alvin was heading south to San Diego to see some friends, but he hasn’t been seen since. Bulaoro is a Filipino male, 5-feet, 5-inches tall with a small build, with black closely-cropped hair, brown eyes, medium complexion, clean shaven. He helps run a private home care facility for the elderly. 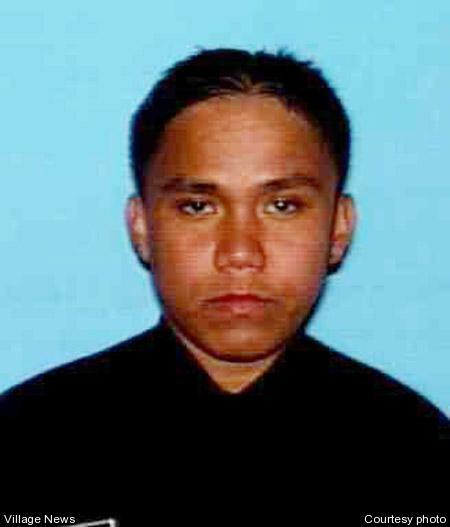 Anyone with knowledge of Bulaoro’s whereabouts is asked to contact he Fallbrook Sheriff’s substation at (760) 451-3100.